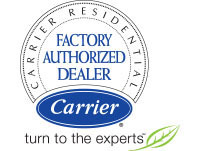 At Total Comfort, we are always available for your AC repair needs in Ormond Beach. We have a team of NATE certified technicians on standby for any emergency situation that might occur at your home. The NATE certification means that we have the knowledge, experience, and dedication to solve any range of problems. We are fully lisenced and insured, and we have service technicians available 24 hours 7 days a week.